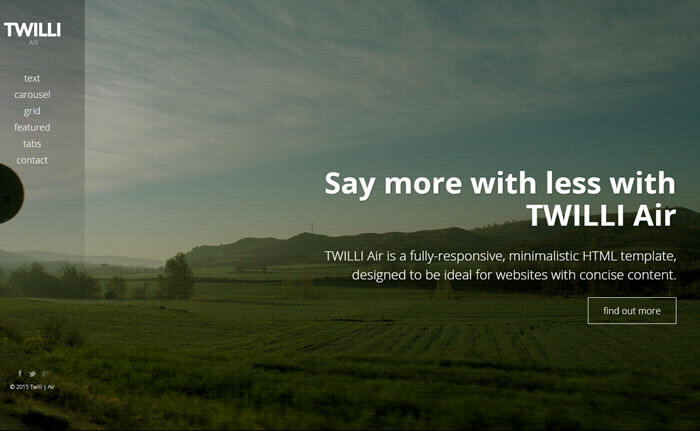 Twilli air is very minimalistic, creative responsive one page HTML template built for portfolio, creative agencies, personal and landing page websites. Enabled to support full width background images and included with plenty of bootstrap components such as tabs, grid system, carousel and modals. Designed based mobile first bootstrap 3 framework and enabled to support content popups, image gallery carousel and image sliders in Popup powered by Owl carousel touch enabled jQuery plugin. Twilli Air one page HTML template is has ultra responsive layout fits perfectly in any device displays, cross browser compatible, compliance with HTML5 / CSS3 standards and included with working PHP contact form. 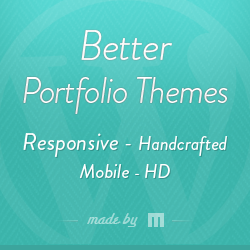 its well documented HTML template comes with static navigation menu, built with font awesome icons, Google fonts along with user friendly mobile menu.